Load Capacity is 180 lbs. 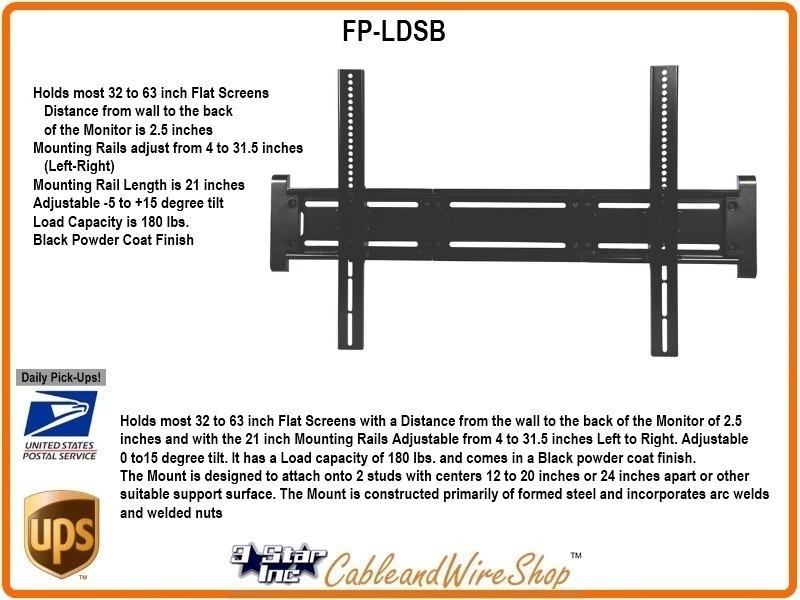 Holds most 32 to 63 inch Flat Panels with a Distance from the wall to the back of the Monitor of 2.5 inches and with the 21 inch Mounting Rails Adjustable from 4 to 31.5 inches Left to Right. Adjustable 0 to15 degree tilt. It has a Load capacity of 180 lbs. and comes in a Black powder coat finish. The Mount is designed to attach onto 2 studs with centers 12 to 20 inches or 24 inches apart or other suitable support surface. The Mount is constructed primarily of formed steel and incorporates arc welds and welded nuts.